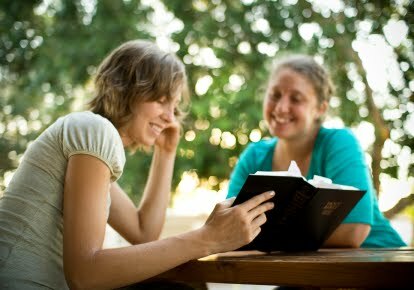 thedevotedwoman: what kind of evangelist are you? Yesterday, I was writing a comment on my friend's Facebook page. As I looked over the current activity of other people's comments and postings that made up his page, I noticed something. There... again... was the link to a famous You Tube video that has been circulating on the web for many, many months. I'm sure you probably know about the video I'm referring to... it's the one where the young youth pastor unintentionally flubs up his sermon, slurring an inappropriate word - thus throwing off the whole course of his intended speech. And, of course, his sermon was being video taped - so why not post it on You Tube for a good laugh. Right? Now, I must admit, the first time I saw this video clip, I did laugh. Honestly, I laughed and thought, "Poor guy. Look at him get embarrassed. Too bad for him. But really you've got to wonder why he blurted out that word. Maybe there is more going on inside him than he's letting on. Hmm. Well, regardless I'll share this goodie with some of my friends so they can laugh about it too." Yes, I'm embarrassed to say, upon first seeing this video, this was my initial response. And from the looks of it, most Christian's I know responded in like: (1) A private laugh at someone else's expense. (2) A silent judgment about a person's character. (3) A decision to embarrass and mock a fellow messenger of the faith. And so it goes... and so it goes. Thankfully, my teaching God corrects where His children need correcting. Months ago, when this video popped up again and again in my inbox, the Holy Spirit finally asked me this one important question: "Victoria, what kind of evangelist are you? Are you a scoffing evangelist? Are you a person who sits in the middle seat of the scornful and mocks at the expense of others? Is this the message that I've asked you to share? Is this the new creature I encourage you to be in Christ? Is this how you are spending your time on my behalf?" Of course, conviction set in. God was right! Repentance was needed within my heart, and STAT! Changes need be made for the better. HIS better awaited my obedience! For what kind of evangelist mocks and jeers at others? Really? What person claiming Jesus spends their days laughing at another's mistake? That's not who I am in Christ! That's not who Jesus is making me to be through the power of His gracious rule! I am so thankful that God pointed out my sin of being a scoffing evangelist when I chose to circulate the You Tube video with others. It was a wake-up call to the many ways I am capable of stumbling in this area. Really, I don't want my time spent scoffing or mocking at anyone! It is not ladylike, nor is it godly! No, I want to serve my King, and spend my time sharing Jesus' love! Thank you, dear Lord, for your ongoing correction and guidance! Thank you for showing me Your righteous path! Are you a vague evangelist? Are you one who is easily embarrassed to share God's Word with others? So instead, you share as little information as possible and/or avoid the issue altogether? Or how about an obliging evangelist? Are you someone who will agree with any theology presented because you don't really know or care about God's wisdom on particular matters? Are you a likable evangelist? Does everyone need to be your buddy? Do you default to "agree to disagree" with others so as not to cause waves or acknowledge sinful excuse? Are you a sanctimonious evangelist? Do you consider yourself better than everyone else, and thus judge others for the sake of the cross? They need to know about hell, fire, and brimstone, right? What about an acclaimed evangelist? Do you need to be noticed and admired? Do you seek personal fame? Do you speak up for God in order to receive your own "religious" form of limelight and attention? Are you a greedy evangelist? Do you share in order to receive reimbursement in some way? Is sharing the gospel a means of income or wealth rather than an act of obedience and love? Really, what kind of evangelist are you? A holy, godly evangelist is found few and far between in our Christian communities. Indeed, I do believe if we were all living as holy, godly evangelists, the world would already know Christ! But alas, many who proclaim to know Jesus are not at all enthused or motivated to share His Name without their own conditions or selfish intentions attached. As such, our dear Savior remains to be the best friend that is failed to ever be introduced by His own. Oh Christian, why continue this old way? Instead, why not embrace the new life He's given and obediently share LOVE to everyone we encounter? Friends, as I had to do, I encourage you to repent and humbly approach the throne of grace for strength and direction in your own evangelistic pursuit. Jesus gives us His example to follow throughout God's Word. He teaches us what love looks like and how we are to live in Him. Embrace His truth. Walk His narrow path. This is the new life that He wants you to run towards, flourish in, and enjoy! His is the only Way! So, share Him with everyone you meet. Cast aside selfishness and become the holy, godly evangelist He has called you to be... in His Holy Name... for His Holy Kingdom... being holy because He is Holy! Let us live new TODAY! Let us openly rejoice in His truth together! Let us share the delight of His law with others who do not know Him! Let us choose to love because He first loved us!! !